The first is a black oxford with laces; the second is a loafer (loafers don't have laces); the third is a monk style shoe (with straps and buckles). While there are a few minor differences in the level of formality between these styles, generally speaking, all three will do for most any occasion where dress shoes would be appropriate. Go with the look that you like best. The first is a black plain toe oxford that is a little bit on the long side. Classic. The second is a white split-apron toe oxford of medium length. Stylish. The third is a grey oxford wingtip of normal length. Hip. The fourth is a brown capped toe oxford of medium length. Dapper. As you can see, leather colors and finishes are also something to consider. That being said, a classic black or brown is never a bad bid. The most important factor to consider while choosing a dress shoe is if you like the look. Even if it is something that you're normally not into, or if it is a little bold for you, I vote that you give it a try. One of my most favorite pairs of shoes that I own has a similar story: I saw it in the store and thought that it was a very attractive shoe, but I didn't really have anything like that; it was not really my style. However, after a little coaxing from my brother, I gave in and bought it. The next day I was clicking my heels because I was so pleased with the shoes. Beyond liking the look of them, there is another thing that I would consider: profile. If you tend to wear wider or looser-fitting clothing, I would maybe steer clear of the narrow and pointier shoes. Conversely, if you wear slimmer, more fitted clothing, steer clear of the slightly bulkier dress shoes. By matching the wider profile shoe with the wider profile trousers or jeans, you maintain a more continuous line and look from your pants down through your shoes. Although it is a small thing, it helps all of the clothes that you are wearing look like they belong together. The other thing I ought to mention here is finding a shoe that works for how and where you wear them. Some men wear dress shoes regularly to work or to that interview for where they'd like to work; some to church; some only to weddings and dinners. All of these are normal places to wear them. But every once and a while, if you don't have this practice, I invite you to wear them with some nice jeans and a nice collared shirt or tee; this can bring some competent class to your everyday look. Whatever the occasion, when you need to look your best, a proper dress shoe is not only a "nice touch," but a necessity if you want others to recognize your competence and sense of propriety. The last thing to consider is where to find the shoe. I generally start by looking either in a shoe store or on a site that has lots of different types of shoes (e.g. amazon.com). From there, I find elements of shoes that I like or a brand that seems to fit your style, then focus on that. Although buying shoes online can be a little scary for some people, most proper online merchants have an excellent return policy. My other favorite way is by going to outlet stores and places like Ross or TJ Maxx. The reduced prices are what it's all about. I refuse to pay full price for any article of clothing. Browse clearance racks and discounted stores, and, with time, you just might find a treasure. I once found some great $130 Guess loafers for $15 at Ross; jut my size. Even if you're not necessarily looking to buy, take a look around and figure out what styles interest you. Conclusion: Dress shoes make you look good. Don't be afraid of a new style. The possibilities are practically endless, so if you take a little time, you'll find something that you can be proud of wearing. This post's timing and content is serendipitous because yesterday I started university classes again and I decided to wear a black shirt, jeans and black leather dress shoes. Though slightly worried that I might be committing a faux pas, or coming off as pretentious, in fact when I was there I was pleased with my decision to slip the surly bonds of hoodies and trainers. One question though - Why Victoria station with a picture that is clearly of Gallic origin? But yes- I meant to say - your post comes as timely confirmation of my choice. Happy to hear that your decision worked out for you. I'll still do trainers and jeans all the time, but a pair of dress shoes with jeans makes me feel like a million bucks (or £639K). As far as the photo of Gallic origin paired with Victoria station is concerned: the photo illustrated some of the feel that we're going for in this blog; the name will stay the same, but the photos will change from time to time. Next time I'm in Victoria station, I'll be sure to snap a sharp shot for the blog. This blog is a glorious dose of the Adam and Landen I've been needing in my life. I thank you profusely. 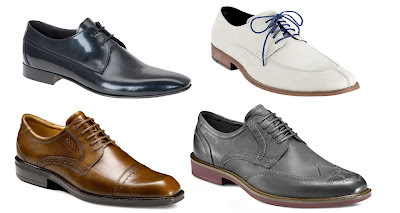 Are you looking for the right dress shoes for men?You can check out Chamaripashoes website.Chamaripa is the top and professional international and best elevator shoes brand. Chamaripa Company focus on men's height increasing shoes, high heel shoes for men to make men taller invisibly when they wear chamaripa best height increasing shoes for men. All tall men shoes in Chamaripa are make of 100% imported high quality genuine leather to guarantee elevator shoes for short men quality which is 100% satisfaction from the buyer. Chamaripa mens high heel shoes are not just common tall men shoes which can help the user to be taller, is also very comfortable and fashion design. Chamaripa taller shoes can help people to tall 2-5 inch invisibly and instantly though inserting different height lifts shoes. It will help the people to become more confidence when they wear lift shoes to make you taller. recently about fashion designing i think you all should at least read that website to enhance your knowledge. I was looking for shrink film manufacturers in India and this link suddenly pooped up through push notifications. And trust me, you have amazing men shoes! These type of shoes are good for parties and Offices. Customers have realized the advantages that this mode of shopping brings to them and therefore, they are flocking in droves to the online stores to buy the shoes discount that their hearts desire. Christian Louboutin replica shoes are the same and in the same realm.